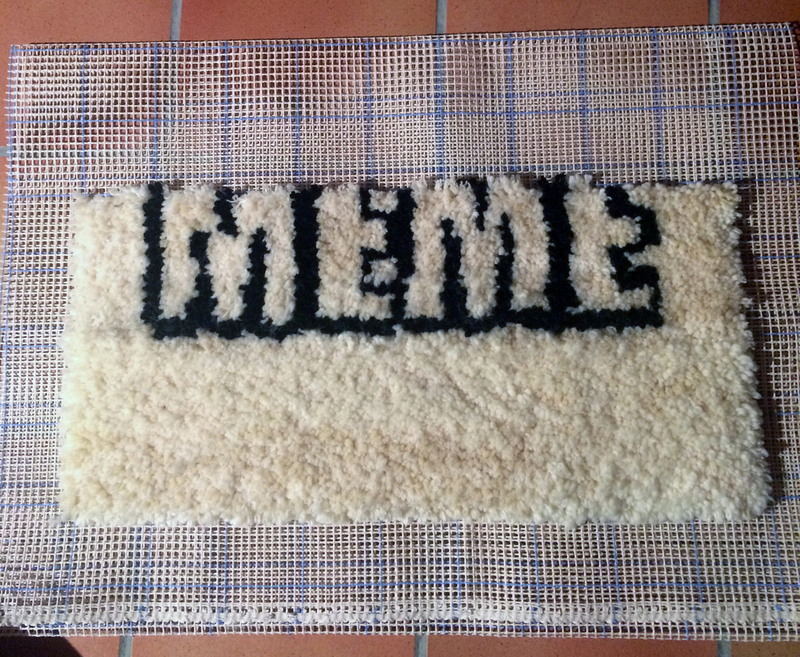 COLL.EO, STATUS UPDATE: I A MEME, 2016, 60 x 102 cm (23 x 40 inches), wool, cotton, wood. We are happy to share the latest installment of our ongoing project, STATUS UPDATE: I AM A MEME. STATUS UPDATE is a series of rugs made of vintage anchor 6ply wool from the 1960s and 1970s, latch hook canvas, and cotton. The rugs come in various sizes. We launched the project in December 2015 with three rugs (BOT, GLITCH, HASHTAG). A fourth artwork (BUG) was completed on March 15, 2016. Painstakingly handmade by COLL.EO, STATUS UPDATE is about the human condition in the age of social media.